The cost savings of owning a home vs renting one! 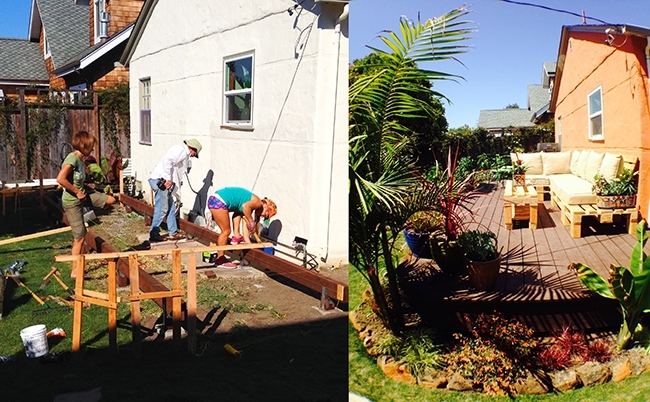 Before and after of the deck of Bri Chmel's Pleasure Point cottage. Hello from Bri Chmel, Realtor® & Owner at Live Love Santa Cruz! There’s nothing quite like a home that you can truly call your own. A place where you can have the gleaming hardwood floors you’ve always dreamed of, a space to cultivate your own vine-lined patio, a way to provide a good neighborhood for your kids to grow up in, and a freedom from the whims of your landlord. These are the images that immediately come to mind, for many of us. 10 tips you must read before listing your home!